The Kemetic Pipeline is the leading Pan African utility in the world.The pipeline is on track to intergrate the entire African continent under one economic system.Mr Devon Bell has a staff that is on point.Please support the KMT by getting involved in African development.Get the skills and education of this century the African century.This is our day this is our time.....Kalagenesis Kemetic Energy Corporation are making bold moves. Kemetic Energy Corporation acquired 4 new petroleum drilling sites in Goliad Texas this first of March 2012. The Patton Family has came to terms with Kemetic Pipeline International to extract an undisclosed amount of crude oil and natural gas from their 360 acre farm land. "Texas Tea" is what one of the representatives from the Kemetic Pipeline, Ms. Tiffany Duvernay, V.P. of Developing Markets. "We are very happy about all of our additions that we have been cultivating. We have several sites including refineries that we are in the process of acquiring." "We are looking for potential partnerships such as a Bio-Desiel plants Hopefully we can secure on before this fall of 2012. We are serious about providing the participation of crude oil, natural gas, and other methods of fuel and energy to world." Kemetic Pipeline Feasibility Study Kemetic Pipeline International is doing a feasibility study in the Republic of Uganda on the elasticity effect of the influence that the Kemetic Pipeline would have on neighboring communities of Uganda winter of 2012. 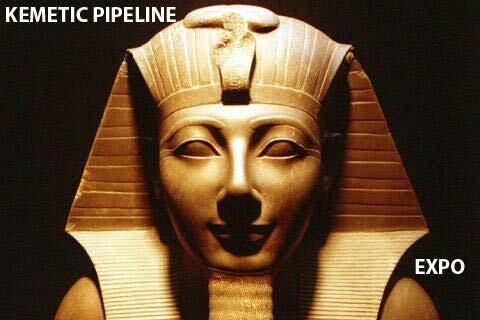 Uganda is located in the Africa's Central e-ports geographic of the Kemetic Pipeline. It neighbors Rwanda, Tanzania, Kenya (Kemetic Pipeline Africa's Eastern e-ports), and Zambia. Kemetic Pipeline gaining new members ComesaOur campaign for eastern Africa has been continuing with out a hitch. Members from the COMESA organization has been delighted to hear about the services of the Kemetic Pipeline and is eager to sign up. Not to be beaten out by our brothers and sisters from all over the world. Zimbabwe to sign with the Kemetic Pipeline There are aspiration of Zimbabwe officials to sign on to the Kemetic pipeline family of countries. With expectation of advancements from the negotiations between Kemetic Pipeline agencies and the Zimbabwe administration for participation 2012. Adding to Kemetic Pipeline Southern e-ports Bringing composite commerce index of agriculture: 19.8% industry: 24.4% services: 55.7% (2010 est.) A labor force of 3.848 million participating agriculture: 66% industry: 10% services: 24% Liberia's Serleaf Administration is Interested in Kemetic Pipeline. Negotiations Between the Kemetic Pipeline Development Corp. and members of Serleaf administration continues to forge forward with the participation of Liberia being one of the members of the Kemetic Pipeline Western e-ports bringing. The expansions of refineries in Gabon with the Help of the Kemetic Pipeline. Representatives from the Kemetic Pipeline Energy Corp. is coordinating with representative from the Ali Ben Bongo Ondimba administration on Bio-diesel fuel and agricultural crops. Gabon is one of Africa's most successful economies. As a major oil producer it succeeded in managing its petro-dollars exceptionally well, in contrast to many other African countries where the black gold is a real curse, leading to mass corruption, political instability and enormous social inequalities. Because of this good management, other economic sectors have thrived, and more importantly, Gabon has been able to protect its precious environment. The rainforests of the country constitute one of the world's biodiversity hotspots. A fledgling eco-tourism industry has been built around it and large areas have been designated as natural parks and protected zones. Control mechanisms against illegal logging and poaching seem to be working [see Gabon's Biodiversity and Protected Areas profile at the World Resources Institute's Earthtrends website]. All these positive developments are due to Gabon's well managed oil wealth. But the country's petroleum production is facing a rapid decline: whereas today Gabon produces some 265,000 barrels per day, it is estimated that by 2010 this will have halved to approximately 140,000bpd. Obviously, the question then becomes whether the Central African country can keep both its economy growing and its environment intact when the petro-dollars stop flowing in. Housing Solutions in Senegal finds itself across the help desk of the Kemetic Pipeline Development Corp. As the administration has been entertaining construction plans necessary for the addition of thousands of homes. The Republic of Senegal has worked aggressively to remedy the housing shortages. The lack of new housing supply is a serious problem in Dakar. For a city of 2 million, only 1,700 building permits were issued during 2003-2004. There is local disquiet about high rents. A local source talks of the “scandalous rentals demanded by the leading estate agents,” and says that four years of rental payments correspond to the price of a house. Nevertheless by international standards rents are still reasonable. Outside the capital, the problem for the buyer is the relatively short leasehold terms which are available to buy. Various sections of the coast have been taken out of state patrimony and leased to development companies, for lease to tourists/investors. But the parts of the Petite Cote available to foreigners were originally leased 50 years ago, and only 24-26 years of that lease remain. Comesa's Tripatite Free Trade Area agreement signed by Ndou Paul 2011 June 13 08:38:30 THE Second Tripartite Comesa-EAC-Sadc Summit that brought together the leaders and representatives of 26 African countries opened at the Sandton Convention Centre here yesterday morning with the signing of the Tripartite Free Trade Area agreement. An FTA is a trading zone whose member countries have signed a free trade agreement, which eliminates tariffs, import quotas and preferences on goods and services traded between them. It is considered the second stage of economic integration. Countries choose the FTA route if their economic structures are complementary but if they are competitive they take the route of a customs union. President Mugabe and the other leaders were seized with negotiating the terms of the envisaged Tripartite FTA expected to pave way for the launch of an African Economic Community in the near future. The EAC launched an FTA in 2005, SADC in 2008 with Comesa following in 2009 laying the groundwork for a Tripartite FTA. Running under the theme, "Deepening Comesa-EAC-Sadc Integration," the Summit witnessed the launch of the FTA negotiations and the signing of the constituting agreement. In his welcome remarks, host President Jacob Zuma urged his counterparts to create an enabling environment for economic prosperity and growth. "There is no single country that can prosper on its own, our destinies are intertwined . . . we can achieve greater competitive advantage through the Tripartite FTA arrangement." The South African leader urged the three RECs to remove barriers to intra-African trade, improve the efficiency of transport infrastructure, documentation and the overall administrative procedures associated with international trade. Top Stories Myriad Services Financial in process of purchasing a Bank Charter in Saint Lucia A New bank for being process in Saint Lucia for the use of the Kemetic Pipeline.